Water park with water slide, racer slide, swimming and leisure pools, giant waterfalls, geyser, counter-current pool, paddling pool. 1800m² of heated water and 2.5 hectares of leafy nature. Phone : 04 74 00 55 41. 06 65 36 27 63. 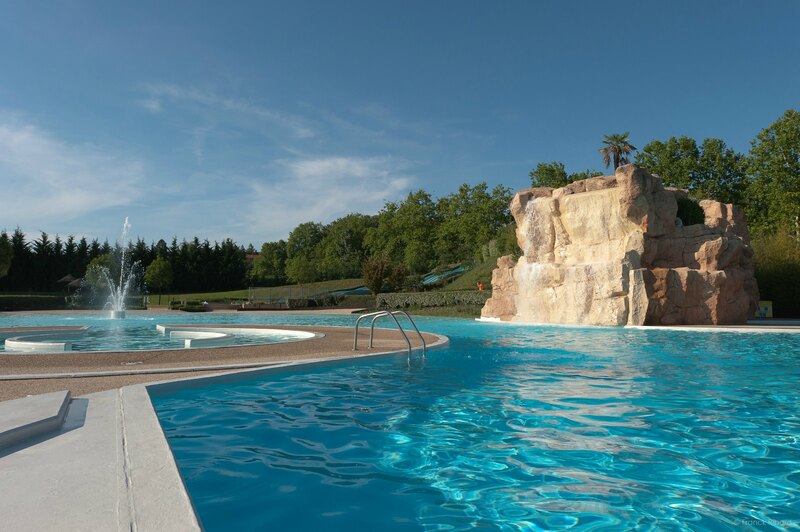 Pool open September-May (access to Les Cascades water park June-September). Phone : 04 74 00 08 19.